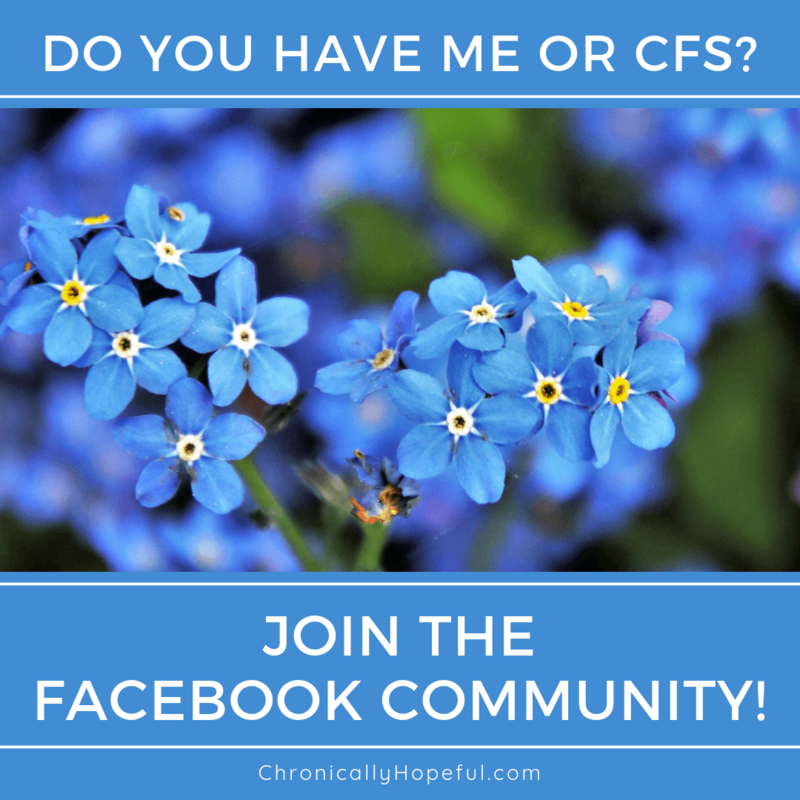 ​during my second year of being housebound with ME/CFS. Have you ever woken up in the morning feeling more exhausted than when you went to sleep the night before? You know, that kind of exhaustion when you are so drained that you can't keep your watering eyes open any longer and nod off at almost every breath. Your limbs are heavy and you're too deflated to even get dressed into your pyjamas, so you just give in and let the sleep take over. This is life with ME. A healthy person, after a good night's sleep (and they may even need a few extra hours), would feel rested and replenished, able to confront what the next day ahead might bring, but the ME patient doesn't recover. We wake up with a deficit - of energy, of strength, of cognitive function and an increase in sensitivity - to light, touch, sound and movement. In the morning, you're lying in bed trying to wake up your numb, almost paralysed limbs so you can do your bathroom business (just loo and teeth, you know you have no energy for anything else anyway). When you're finally up, you realise just how stiff and sore you are, as if you've done an energetic dance workout the night before, but you know you haven't... You can't quite fathom why you'd be paying for something you didn't do. You wake up an hour later. Oops! Time for medication and breakfast. You're glad you remembered to prepare it the night before and so grateful for the app that reminded you to take your meds - exactly which ones and when! Digestion takes more energy out of you, so you're back in bed, so tired. Body aching. You feel like you might have a fever, even your skin hurts, but you know it's not a proper fever, this is just another one of your regular symptoms: the phantom fever. Your temperature might actually be lower than normal, but your body responds as if it's burning up. It's nice and sunny now, so you decide to sit at the table in the sunlight and do some writing. This is to keep your hands mobile and build that muscle memory you've lost after months of inactivity. Your arms are stiff and heavy. 2 sets of the alphabet later and you're utterly exhausted! Your legs are even aching now and you have shooting pains in your hips. Time for bed again. See, the exertion intolerance accumulates. So you had a shower. Everybody knows what an incredible workout that is! All that standing and scrubbing and the sensory effect of the water hitting your skin - feels like somebody's poking you all over with a fork. Makes sense that you'd be bowled over almost 24 hours later! While resting, 2 different neighbours decided to play music loud enough for your sensitive ears to hear both in tandem. Sensory overload within seconds! Your eyes are burning now too, even though your screen is dimmed right down, which is quite usual by now, it is never more than 50% lit. As you lie there on your bed, you realise how sore your shoulders are, probably from washing your hair in the shower. Lunchtime comes and you're so grateful for leftovers you can just heat up on the stove, if you have the energy, else you'll eat them cold like you did yesterday. A microwave oven would be useful about now. Cold food in winter is not ideal. Despite the payback and cold food, you're quite happy to finally be wearing clean pyjamas again! You'd been waiting for your next shower to wear them. Oh man, digestion is kicking in again, it's time for another rest. Pin "A day in the life of ME CFS"
I am always taken aback when people ask me what I do all day – it demonstrates how little they know about ME. Those first two years were completely about survival, as you so aptly describe. I am now four years in and am able to be out of bed for longer periods of time – on the good days – but there are still days where it takes hours to just make that first move in the morning. Funny, what you say about digesting – it does make me tired. I always have to lie down after eating. Be well. Absolutely – all about survival. I think that healthy people can’t really understand it. I feel a level of exhaustion and weakness that I never imagined possible. I try to get that across in my writing, but I’m not sure that healthy people could ever really grasp what we go through. I hope that you will continue to see this improvement – today is one of those days for me. My legs aren’t too happy, so I’m resting in bed. But it’s still a huge improvement from just a year ago! You’ve captured this so well, especially sensory overload & general exhaustion. Must admit I’d never really thought of the energy your body needs when it comes to digestion, so that’s an interesting point. I’m also not liking the cold dinners when I’m too exhausted & my body hurts too much to cook a hot meal either. Great post! Glad the picture is clear. I often wonder if what I’m trying to say is really coming across correctly. I am so grateful for my sister who sorts my meals for me now. Digestion is really hard on me some days. Yesterday I literally keeled over after lunch! I do find I have more trouble digesting lunch than dinner. I think my body generally tends to improve in the evenings. Do you also find you “wake up” in the evenings? Great post capturing the reality of what it feels like to live with ME. It’s so hard to explain to people just how tough it is just to get through the day. Perfectly articulated! The time lag between activity and deep pain sometimes mystifies me…like what did I do to my (insert body part) and you may think back 48 hours and remember. So odd. Thank you for taking the time to a peek into our lives.? Thanks, Mishka. It really is so odd, isn’t it? I’m giggling ? So very true! And thank you, you too!? Hey I’m 13 and have chronic headpain. I like finding sights like this that give hope and support. Hi Jemma, thank you for the lovely comment. Glad you enjoyed my site. I’m sorry to hear about your chronic pain. Headaches are terrible. I hope you have a good care plan to help you through it. It’s amazing how exhausting chronic illness can be. I’ve often heard, “You don’t get it…until you get it.” Hope today is a low pain day for you! Love your blog! What we take for granted. Your blog lets people know they are not away and the rest of us a reality check. Thank you so much, Amelia. I am happy if healthy people can understand the gravity of this illness from my posts, it might help to reduce the stigma and misinformation out there. And as you say, letting other patients know they are not alone in their struggles. I love the name of your blog by the way… It’s a lesson that took me a long time to learn: You can always start again!